There is one primary goal to focus on when interested in making money with affiliate marketing – developing the right website. Basically, you need rich and quality content with useful details and informative sections. Just like you have probably guessed already, it needs to be centered around a particular niche. While this industry might look saturated to a lot of people, the truth is that you can still make money with it, yet it is not as easy as you may think. In other words, you can forget about launching a random blog, covering it in affiliate links and expecting to go rich overnight. It is not going to happen. The primary purpose of developing an informative website in affiliate marketing implies gaining credibility. Do not write about the latest plasmas and LED television sets if you have never had one. Do not write about hair straighteners if you have never held one. Just because one niche or another is successful, it does not mean that you will succeed too. Instead, you need to offer a product that you know a lot about. Besides, the modern Internet user is educated enough to spot your attempt to sell like crazy. Instead, you need subtle recommendations within your content. As long as they can perfectly fit, chances are you will do it very subtly. It may also be a good idea to actually own the products you rely on, only to be more credible. If you think that one program is more successful than another, you are wrong. Some people may become successful with a particular affiliate marketing program, which will not necessarily work for others. 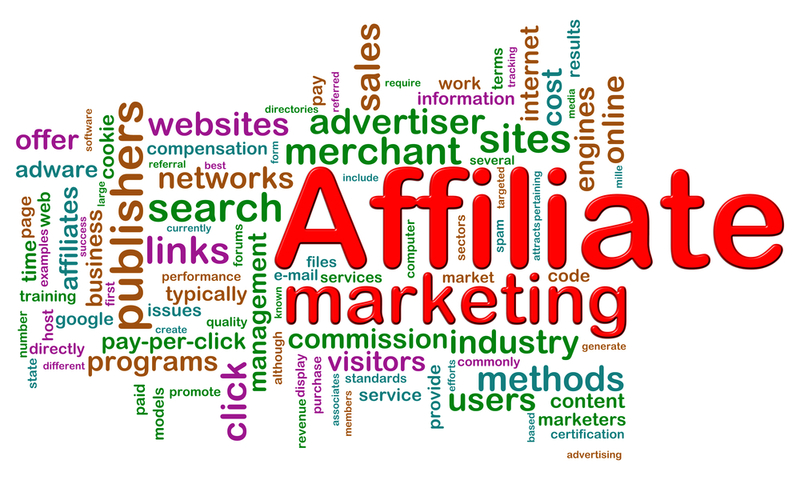 Therefore, it is not about the affiliate program because you could succeed with pretty much any of them. On the other hand, you have to focus on a marketing program that can match your website content. You might be surprised to find out that some people make thousands month by month with one specific program, but if your website has nothing relevant to that program, your income will be close to nothing. You are less likely to write about cooking and sell laptops. Therefore, be very careful when comparing others’ results with yours. In the end, you should know that generating enough traffic can help you sell pretty much anything you want to. Just do not get caught in a particular affiliate program, but focus on your website instead. The honest truth is that there ae big chances for your initial affiliate marketing strategy to not succeed. In the unfortunate case that it actually happens, it is imperative to make sure that you do not give up, as Rome wasn’t built in a day, and neither will your strategy be. Keep trying, follow the tips that have been outlined and chances are that you will end up earning quite a nice sum with the help of affiliate marketing. Based on everything that has been outlined so far, I personally believe that earning money through affiliate marketing is still possible, even today when there are quite a large number of people doing the same thing. An idea would be to create a new site discussing different products and placing links to the actual referral pages. Once you gain traffic then chances are that people will be interested in the products showcased on your site and then earn you’re a profit. Anyway, what do you personally think? Share your affiliate marketing story with us in the comment section below.